Flipkart has kicked off its Mobiles Bonanza sale on December 26, which will run till December 29. The sale is featuring discounts on plenty of smartphones that includes RealMe 2 Pro, Asus Zenfone Max Pro M1 and more. 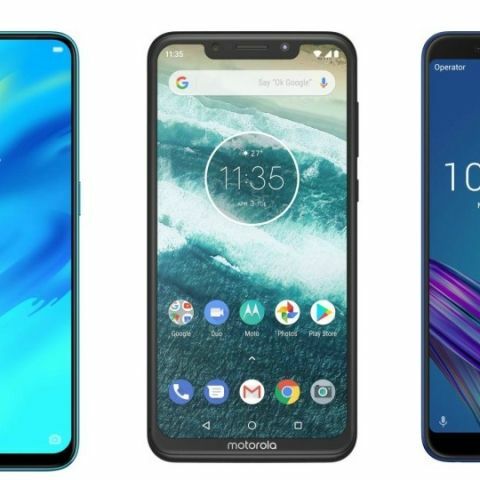 The Flipkart is now hosting a Mobiles Bonanza sale on its platform, which might be the last sale of 2018 as 2019 is about to begin very soon. The sale will last till Saturday, December 29. The e-commerce giant is featuring deals and discounts on a number of smartphones along with an option to buy smartphones on no-cost EMI. Flipkart has also collaborated with SBI bank and offering up to 10% additional discount to users on making payment through bank’s debit/credit card. So, let’s just begin. The RealMe 2 Pro 4GB/64GB variant is available during the sale for Rs 12,999 down from its MRP of Rs 14,999. The smartphone comes with a 6.3-inch FHD+ display that features a dew-drop notch on top of it. The smartphone is powered by a Qualcomm Snapdragon 660 processor. Check out the product here. The Asus Zenfone Max Pro M1 is available during the sale period for Rs 8,999 down from its MRP of Rs 10,999. The phone comes with a 5.99-inch FHD+ display and is backed by a Qualcomm Snapdragon 636 processor. Check out the product here. If you’re thinking of buying Nokia’s latest 5.1 Plus then it is the right time to grab it. The phone is available on Flipkart at a discounted price of Rs 9,999 down from its original price of Rs 10,999. The phone features a notched display and comes with a dual camera set up at the back. Check out the product here. The Honor 7A is available during the Mobiles Bonanza sale for Rs 7,499 down from its MRP of Rs 8,999. Check out the product here. The Motorola’s first ever Android one device “One Power” is now available at a discounted price of Rs 14,999. The phone was launched in India at Rs 15,999. It comes with an FHD+ notched display and a dual camera set up at the back. Check out the product here. The other smartphones, which are available during the sale at a discounted price are Xiaomi Redmi Note 6 Pro, Xiaomi Redmi Note 5 Pro, Nokia 6.1 Plus, Google Pixel 2XL, Poco F1, Asus Zenfone Max Pro M2 and more. Check out all the deals here.